We are welcoming back Speech Pathologist Lauren Reinhardt for a series of parent seminars across various Kindalin centres. Lauren will be visiting Kindalin centres throughout the year to share her knowledge and insights with our parents and local communities. 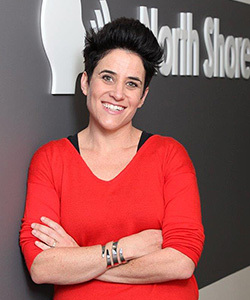 Lauren is a Speech Pathologist and the Director of North Shore Speech Therapy a leading private Speech Pathology practice with 4 locations in Sydney’s Upper and Lower North Shore. Her clinics employ over 20 Speech Pathologists and continue to provide outstanding, evidence-based therapy as they have done for over 15 years. Lauren’s passion is conducting teacher education and informing the community about speech, language and learning. Research shows that a strong foundation in speech and language underpins academic success. All parents in the community are encouraged to attend this workshop to help gain a better understanding of children’s language development. Kindalin has a strong focus on our local communities and we look forward to meeting new people on the night. Tea and Coffee will be provided on the night and it’s a great chance to meet other parents in the community. Lauren is a Speech Pathologist and the director of North Shore Speech Therapy a leading private Speech Pathology practice with 4 locations in Sydney’s Upper and Lower North Shore. Her clinics employ over 20 Speech Pathologists and continue to provide outstanding, evidence-based therapy as they have done for over 15 years. In fairness to all who attend, we ask parents to attend without their children.